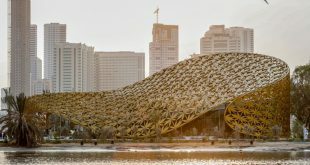 The need to create fruitful partnerships between the government sector and private institutions to drive the Sharjah’s economy forward was the subject of the third Sharjah Economic Ramadan Majlis, which took place on Sunday at Sharjah’s Al Jawaher Reception and Convention Centre. Hosted by Sharjah Investment and Development Authority (Shurooq), in association with Sharjah Chamber of Commerce and Industry (SCCI) and the Sharjah FDI Office ‘Invest in Sharjah’, the event saw senior members of Sharjah government departments meet with representatives of private sector organisations to discuss ways of building an economic ecosystem that is innovative, sustainable and equipped with the attributes that will allow future generations to engage with it. Titled ‘Innovative Economy,’ the third Sharjah Economic Ramadan Majlis was led by Sheikha Bodour bint Sultan Al Qasimi, Chairperson of Shurooq, and involved the participation of the highest government department representatives, ambassadors, prominent business leaders, experts and decision makers, all of whom used the platform to discuss the most effective ways that Sharjah government departments could create effective public private partnerships, with a particular focus given on small to medium size business enterprises (SMEs). Among the dignitaries attending the event were HE Abdullah bin Ahmed Al Saleh, Under-Secretary of the Ministry of Economy for Foreign Trade and Industry; HE Mohammed Ahmed bin Abdul Aziz Al Shehhi, Under-Secretary of the UAE’s Ministry of Economy; HE Fahad Obaid Al Taffaq, Director of Economic Affairs and International Cooperation at the Foreign Ministry; HE Dr. Obaid Al Zaabi, Director-General of the Securities and Commodities Authority; HE Abdullah Sultan Al Owais, Chairman of SCCI; HE Sultan Abdullah bin Hadda Al Suwaidi, Chairman of Sharjah Economic Development Department (SEDD); HE Marwan bin Jassim Al Sarkal, CEO of Shurooq and 200 public and private sectors CEOs and senior executives from across the UAE. The Majlis was moderated by TV personality and noted business analyst Rula Al Tarawneh. Sheikha Bodour Al Qasimi commenced the proceedings by welcoming the attendees and thanking SCCI’s continuous support and contribution to the Majlis, which allows high-level executives to meet together under one roof to participate in discussions on enhancing the economy. She reiterated that the Majlis was an ideal forum to debate the role of the public and private sectors in business, to exchange information and expertise and to identify the latest best practices in the regional and global economies. Discussing how the UAE could be positioned as a central financial hub, HE Abdullah bin Ahmed Al Saleh, Under-Secretary of the Ministry of Economy for Foreign Trade and Industry, explained that the country has a clear plan to become a leading global innovative economy. He highlighted that the UAE has a strong history of attracting pioneering investments that have driven its economy forward and allowed SMEs to flourish across sectors. H.E Abdallah Sultan Al Owais, Chairman of Sharjah Chamber of Commerce and Industry, emphasized the importance of Ramadan Majlis in raising awareness about the role of future governments which will be a part of the innovative economy in legislative and regulative terms, with the private sector taking the lead in enhancing the UAE’s economic resources. 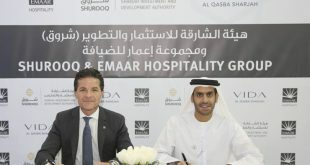 Al Owais believes that business owners and Commerce & Industry Chamber in UAE will play a pivotal role in this context especially with more than 468,000 registered business in such Chambers within the UAE. He mentioned that one study of the private sector in UAE showed that a certain grains factory operating in UAE since 1980 used to produce 20 tons per hour and requires 60 employees to operate it, and with the developments in the private sector this same factory needed in 2015 only 16 employees to operate it and produce the same quantity in 24 hours. 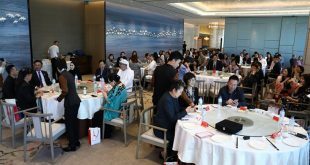 This is achieved through technological advancements, enhancement of human resources’ skills, and universities along with other various factors that complete each other; and this underlines the importance of proceeding with the development efforts on all aspects to keep up with the fast-evolving economy. 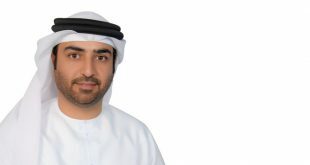 Examining technology and new digital services, HE Sultan Abdullah bin Hadda Al Suwaidi, Chairman of SEDD, confirmed that 85 per cent of business transactions and processes at his department have become digitalised and that there were plans to extend this across 25 other government entities in Sharjah. Adding to this, HE Marwan bin Jassim Al Sarkal, CEO of Shurooq, highlighted the important role that fourth generation technology is playing on both economic and social fronts. He explained the UAE should be aiming at integrating technology into everyday government processes, in the same manner that it has been integrated into the everyday lives of consumers. Speaking about job creation opportunities, HE Khalid Jassim Al Midfa, Chairman of Sharjah Commerce and Tourism Development Authority, highlighted the important role of innovation in tourism as means to rapidly increase job creation in Sharjah. He explained that currently the tourism sector contributes nine per cent to Sharjah’s GDP and is one of the leading sectors that attracts new job opportunities. Focusing on investment, HE Dr. Obaid Al Zaabi, Director-General of the Securities and Commodities Authority, highlighted why the UAE was one of the top 10 safest investment hubs across the world and he explained how the UAE has historically implemented innovative and strategic mechanisms and financial networks to ensure that online and offline transactions were secured, and how this enabled a strong confidence among investors in the UAE. Assessing the UAE’s relationship with other nation states, HE Fahad Obaid Al Taffaq, Director of Economic Affairs and International Cooperation at the Foreign Ministry, highlighted how diplomacy has empowered the UAE to formulate a business philosophy which has communicated effectively with international investors and established fruitful relationships with global trade hubs. Additional topics that were discussed during the Sharjah Economic Ramadan Majlis highlighted research and development and the importance of investing in people. HE Hussain Al Mahmoudi, CEO of AUS Enterprises and HE Jamal Saif Al Jarwan, Secretary General of UAE International Investors Council, both spoke on the importance of developing these two areas as they are considered two public of the main drivers for economy growth, success and innovation. 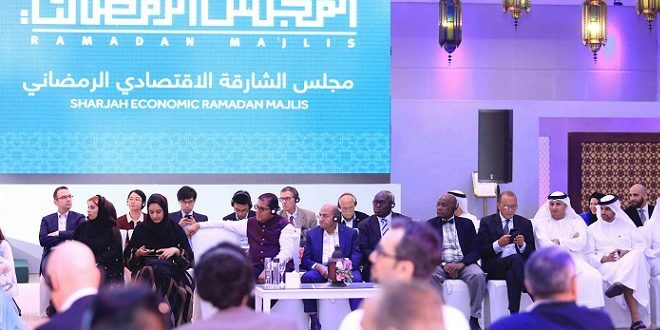 The Third ‘Sharjah Economic Ramadan Majlis’ was built upon the huge success of last year, where one of the main points of discussion was where speakers and experts analysed the partnership connecting public and private sectors in the UAE and debated whether it met the desired level of ambition, as well as the best ways to enhance the prospects of the partnership in the future for mutual benefit.